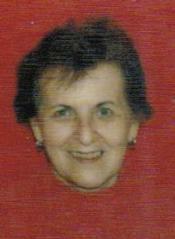 EDITH MOLNAR nee Tomaschek, age 96, passed away on Monday August 13, 2012 at Geauga Medical Center in Chardon, Ohio. She was born in Pozsony, Hungary on September 28, 1915 the daughter of Sandor and Ilona (Szalay) Tomaschek. Beloved wife of the late John Borgoy; widow of Steve Molnar; loving mother of John Borgoy (Kathleen) and Esther Bay (Adam); grandmother of Dr. Elizabeth Borgoy Landa (Dr. Michael), Dr. John A. Borgoy (Karen), Cecilia Bay Altizer (Troy), Antonia Bay, Gabor Bay (Sarah); great-grandmother of Sarah and Michael Landa, Logan and Morgan Altizer; sister of Laszlo Tomaschek (Margaret); aunt of many and relatives in Europe. Memorial Service 11 AM FRIDAY at West Side Hungarian Evangelical Lutheran Church, 3245 West 98th Street, Cleveland, Ohio 44102. Inurnment Sunset Memorial. Memorial Donations may be made to the American Hungarian Friends of Scouting, P.O. Box 6783, Cleveland, Ohio 44101 or the Cleveland Hungarian Heritage Society, P.O. Box 24134, Cleveland, Ohio 44124.